Sovietarmystuff.com • View topic - Greetings! hello dearest new friends, my name is Mark (my friends call me Marko). I was born and raised in India and now live in America. 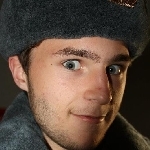 I am a student of history and I choose to study Russian history in college. I have started to learning the language but I already know the alphabets and can sing both Soviet and Russian national anthems in Russian. As you can see, I am a great admirer of a great country and people that have withstood so much pressure from enemies and I wish the best. I recently got into the collection of military goodies as well as needing a nice set to wear for fun! I learned and am learning a lot in the process and I am very happy about my new hobby. I am also happy that by doing this I discovered Soviet Army Stuff and the many good folks here! So I salute you for your great works and hope we will get to know each other more as time goes on! Glad to have you on board, comrade. Welcome to the forum Comrade! Welcome, comrade! I hope you will enjoy your stay here! for the anthem, I just listened to it over and over while having the Russian to English translation in my hand. Then, I sung along loudly!